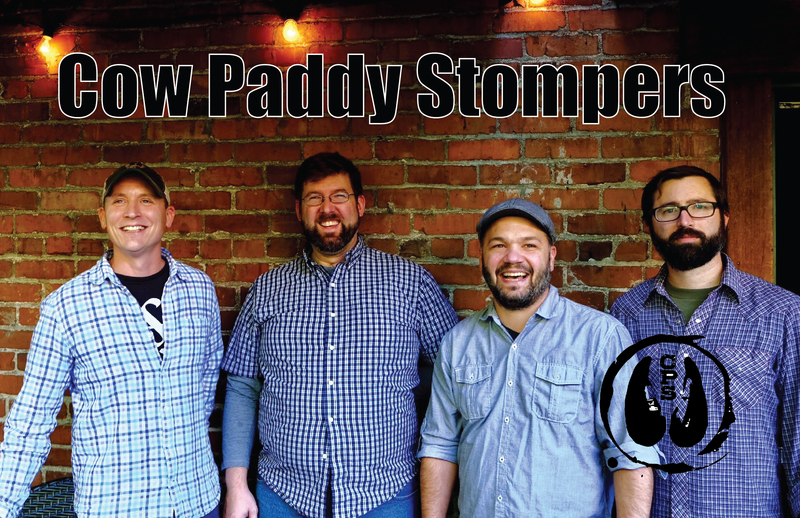 The Cow Paddy Stompers were founded in the Pacific Northwest, with origins as a bluegrass band. With roots planted firmly in the traditions and history of American music, they transcend styles to bring the songs to life. From original music that sounds timeless to new takes on old gems, these guys will get your feet stompin'. Great for music lovers of all ages, the Stompers are CJ Mead (vocals, mandolin, guitar), John Slovik (vocals, guitar, slide guitar), Dan Toulson (vocals, bass) and Austin Stewart (drums). The four friends bring together influences from all across the country and blend them in the Rose City.